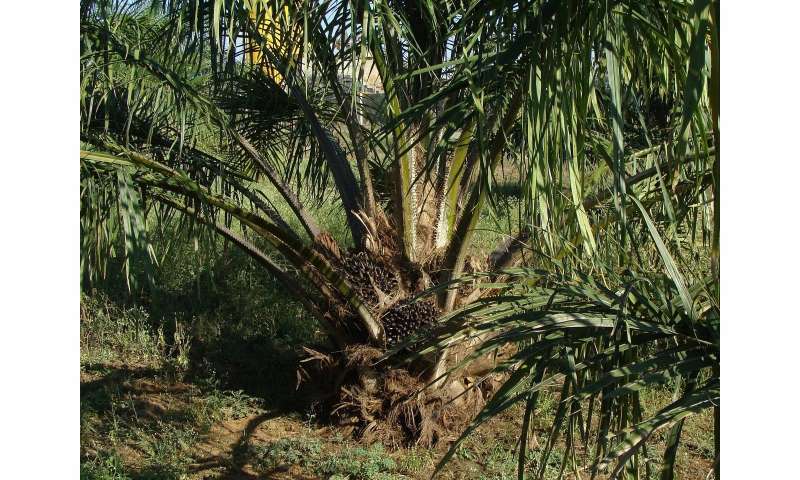 "But currently only 19 percent of palm oil is RSPO-certified. This means the majority that finds its way into products people buy daily is still produced using conventional practices. The researchers surveyed 1,695 British consumers through the market research company YouGov. Respondents were asked about their awareness of palm oil and its environmental impact; their recognition of 'ecolabels' such as Fairtrade, the Soil Association, and RSPO; and which ecolabelled products they included in their weekly household shopping. They found UK consumer awareness of palm oil was high (77 percent), with 41 percent of those aware of it viewing it as 'environmentally unfriendly'. Yet, almost no consumers were aware of the RSPO label that showed a product contained sustainably-produced palm oil. "In terms of label recognition versus action, 82 percent of people recognised the Fairtrade label, but only 29 percent actively buy Fairtrade products," said Dr. Ostfeld. "Only five percent recognised the RSPO label—the same as a fictional label we put into the survey as a control. Of that small number, only one percent said they actively include products with the label in their shopping." Dr. Ostfeld suggested: "This may be due in part to reluctance to draw attention to their use of palm oil, or it may be because they fall short of the 95 percent physical certified palm oil content that used to be needed to use the label. "Either way, we found that relying on consumers to consciously and regularly include certified products in their shopping has limitations. Our results show that even when consumer awareness of an ecolabel is high, action is not guaranteed."